I love fall! 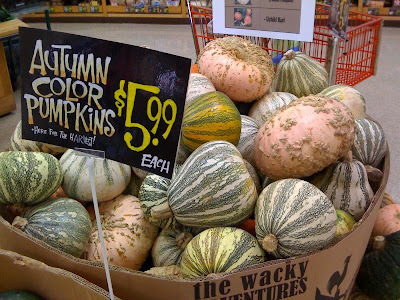 Get over to Trader Joes and stock up on your decorative gourds. They have the best prices and the coolest colors and shapes, but their supply is limited, so hurry!